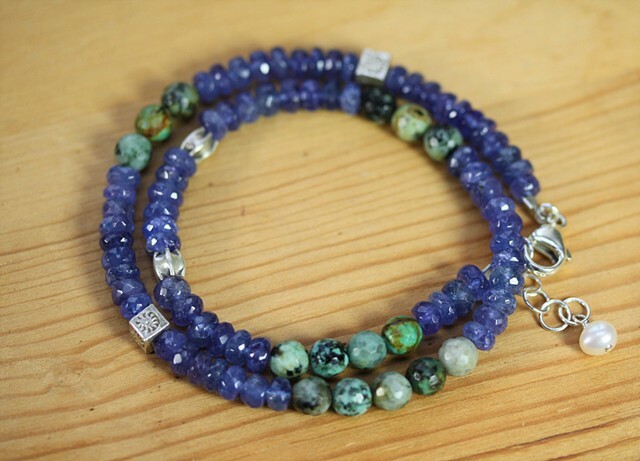 Faceted tanzanite beads alternating with African turquoise rounds and silver accents in this sweet two strand bracelet that can also double as a choker necklace. Sterling lobster claw closure. 14 1/2"-15 1/2" long.